unfortunately, QA can only take saves uploaded to the services they name in their post. Could you please reupload to one those. No thanks. I'm not going to share my name, mail adress or any other personal information on a public gaming forum. 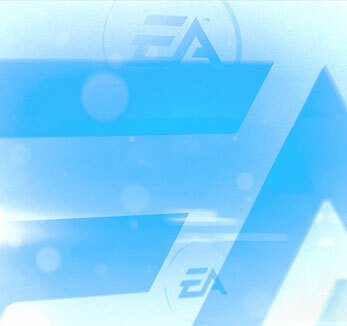 EA should add "*.save" file uploads or accept anonymous sources. Edit: I have checked. There is no way of sharing a file anonymously via link with Google Drive. The owner will always be visible with his or her full name. You can DM the link to any of the QA people (Nick, Robo or Icarus) or you can make fake google account. This way, it's not public. I have one in my gamer name. Anonymous upload sites are often a security risk. It's totally fine though if you don't wanna share that way. Thanks for trying. This happened to me in game just now, and my Sim is completely opted out of the Celebrity system. I did notice it happened after a dinner party, and I noticed a missing item in my Sim's apartment, so I assume a klepto guest took something. I am using mods, but given that multiple people are reporting this happening without mods, I have not removed them to test. If my save file would be useful, I am willing to provide it. I have found a temporary solution to this problem!! First, check your home inventory and your sims inventory to make sure they aren't holding something that doesn't belong to them. If you don't find anything there, go into Build Mode on your home lot. Save your lot to your library and bulldoze your lot. Then go to your library and re-place the same lot. You also might find that you have less money that what the lot is worth. When I did this, my sims had 5,000 simoleans less than what the lot was saying it was worth, but immediately afterward my sims stopped receiving texts about stealing things. I've yet to receive any more texts either. After running many many tests to try and figure out why this was happening also in my game I finally found out the reason I myself am getting it. If your household has anything in it that was made by another sim who doesn't live within the household your sim will continue to receive text messages accusing them of said actions. - If a sim outside of your Household visits your lot and has access to a painters easel and creates a painting this will trigger the texts - sell the painting and the accusation texts will stop. - If you have just introduced your sims to the world and get the even "Welcome Wagon" and one of the neighbors brings you fruitcake or another food that they have made this will trigger the texts - trash the food to stop the texts. - If you host a party and hire a carter and there is left over food made by them and they are not part of your household this till trigger the texts - trash the food to stop the text. So if you are getting these texts take a look around your lot and make sure the lot doesn't have anything made by a sim that doesn't belong to your household - this also includes items from sims that have died and are no longer in your household and sims that you have moved out of your household. I can't remember if I've encountered the stealing issue, but I've definitely had the "drinking blood without permission" call once or twice. I think it may have been after vlad broke into my sim's apartment. She would have been a low level celebrity in the acting career at the time, probably with a slightly good reputation. My sims have never had the stan quirk. My save won't help you guys because I haven't encountered this issue anymore since moving her out of her apartment.